It’s a perfect replica of St. Stephen’s Cathedral in Vienna, complete with each tiny peak and each window. But to the naked eye, this object would look like no more than a grain of sand. 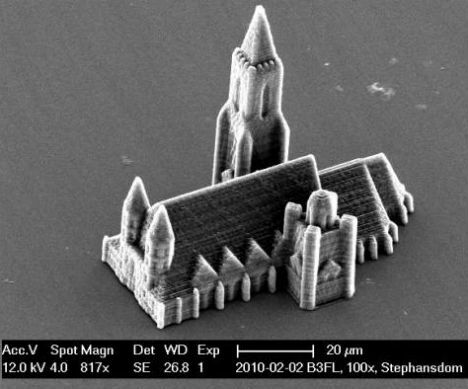 The cathedral and other creations like it are among the smallest 3D objects ever to be printed, produced precisely at the nanoscale. 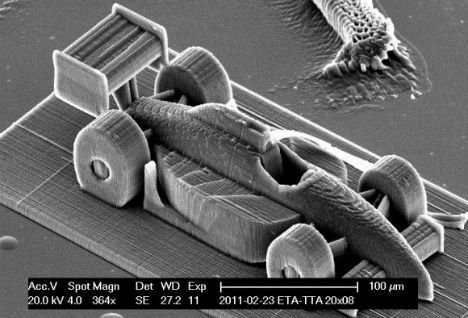 Researchers at the Vienna University of Technology have perfected the process of 3D printing on an amazingly tiny scale. 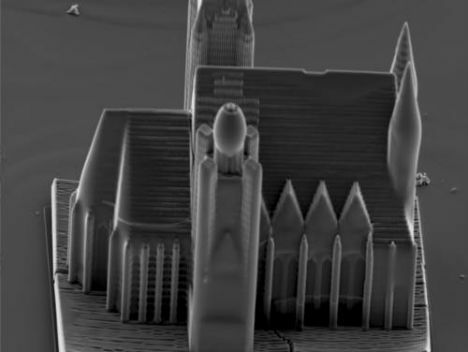 Using technology called “two-photon lithography”, the researchers created a high-precision 3D printer that can print three-dimensional objects both smaller and faster than ever before. 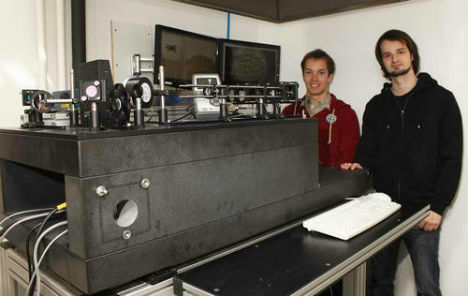 The printer uses movable mirrors to guide a laser beam through liquid resin; the laser hardens the resin into shape. 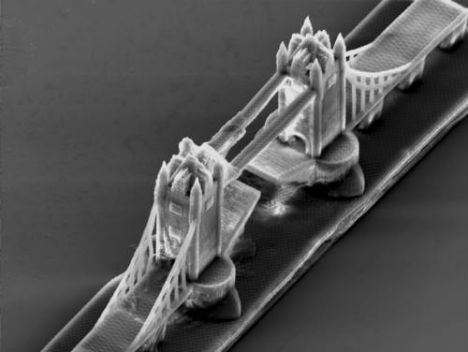 The lines of resin created by the laser are no more than a few hundred nanometers wide. The mirrors move continuously throughout the printing process to create high-resolution objects at a record-breaking speed. In addition to the printer itself and the technology required to develop it, innovations in the chemistry of the resin play a role in this achievement. “The resin contains molecules, which are activated by the laser light. They induce a chain reaction in other components of the resin, so-called monomers, and turn them into a solid”, says researcher Jan Torgersen.